Love to Sing? Come Sing with Us! If you like singing well-known popular songs, meeting new friends, achieving personal goals, participating in community events and having loads of laughs, we would love to have you join us. It is not a requirement to read music or have a trained voice but you should be able to sing in tune and hold your part in your section. Printed music and learning recordings are provided for all songs in our existing repertoire. Although the terminology used is primarily for male voices, all music is written for female voices. We provide training in breathing, vocal production and visual performance, assisting all members in developing their skills over time. If you are interested in joining us, you will be placed into one of the four voice parts according to your range. These parts are tenor (highest sound), Lead (Melody), Baritone (midrange) and Bass (the foundation of the chorus). For all rehearsal sessions and performances you will be given a position within the chorus on risers (elevated steps). Rehearsal sessions run for approximately two and a half hours on Monday evenings. Barbershop style singing has to be experienced to understand why so many women come together to enjoy it. Take a look at a leading quartet who are part of Sweet Adelines Australia. Lindsey, the bass singer, is also a Master Director who has provided workshops for the A Cappella Bay Singers. If watching this clip is a joy, then just imagine singing it! Our starting out fees are for those of you who are just beginning and are new to the art of A Cappella. They have been designed to allow you time to develop your techniques before becoming a Sweet Adelines Member. This generally lasts six weeks, however this is determined by passing your riser (assessment) and other factors. 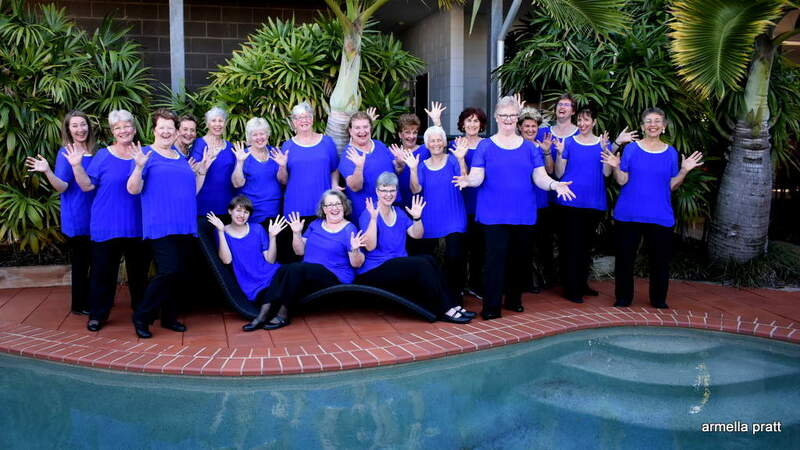 We are affiliated with Sweet Adelines Australia and International. By doing this, we have access to world class vocal training and performance skills and methods. Our Director is mentored by a Master Director and attends director training. We also have workshops run by world class A Cappella directors. 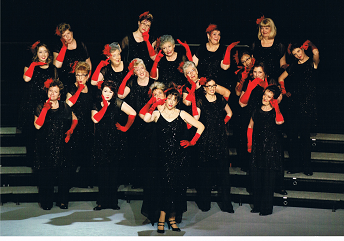 We also work towards competing at the Sweet Adeline convention each year which hosts hundreds of women across Australia. Come this Monday. See you soon! Be contacted to discuss a bit more. Be sent out a brochure with additional information. The Hervey Bay A Cappella Bay Singers is always happy to welcome visitors to our rehearsals. When: Every Monday evening Time 7.00pm to approximately 9.30pm. Place: Hervey Bay RSL Club, 11 Torquay Road. Let the staff at the counter know you have come to visit our chorus. Once you have, head upstairs and take the lift at the top of the stairs to level 2. Look for us along the corridor on your left as you exit it. If coming for the first time, try to arrive five to ten minutes early so that you can be introduced to the team. Now you know where we are, see you there! Feel free to join us any evening! For more information phone Rhonda 0400347367.